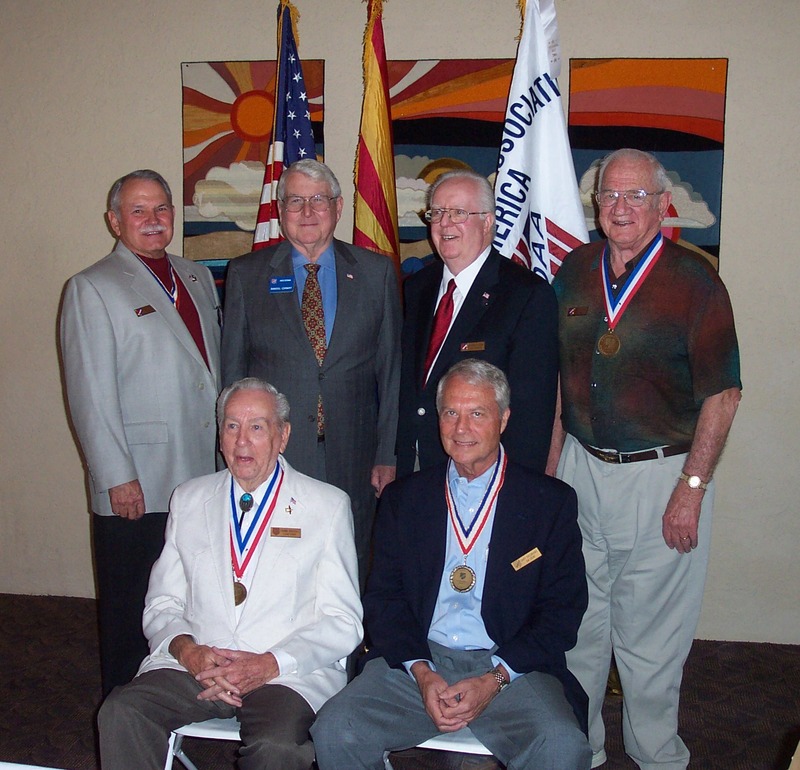 At the November 20, 2004 luncheon meeting, Chapter MSAs were awarded to nine members of the Arizona Chapter for superior service to the Chapter and its members. Recipients standing; Terry Tassin, Daniel Conway, Richard Horn, James Seidl, and sitting; Frank Birtciel and Gary Fredricks. Recipients not shown were Thomas Houser, Dolly Blecick and Arthur Parker.